Exhibited internationally for over 25 years, my award-winning oil paintings have been published in magazines, commissioned by celebrities, sponsored by the Governor of Oaxaca, and featured on CNN. For more info, see my web site, www.warrenkeating.com. 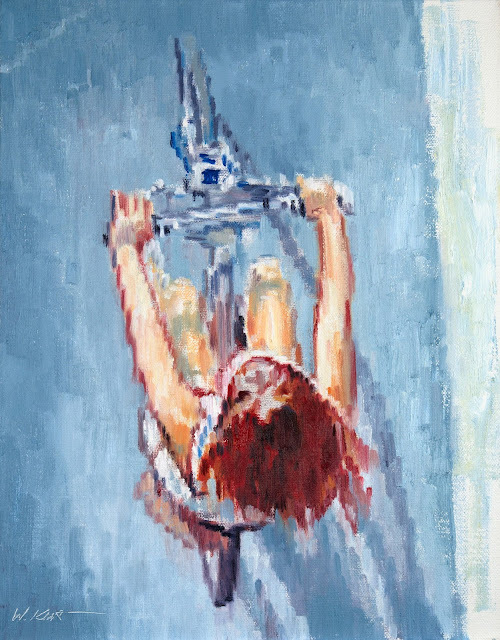 Newest Original Oil Figurative Painting: "Cyclist In Paris"
New Figurative Work: "Blue Umbrella In The Paris Rain"
Keating "Sandal Girl" Painting Wins Again! Latest Painting: "Shadow Of A Man In Paris"